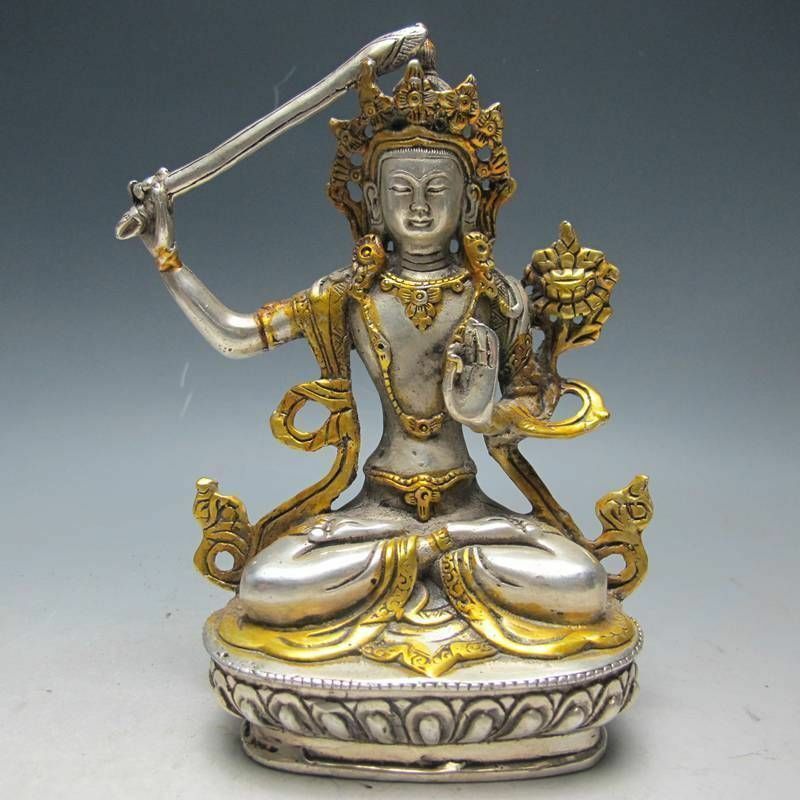 Seen wielding a flaming sword in their right hand who cuts through ignorance and duality, Manjushri is one of the most easily identifiable Buddhist bodhisattvas. It is ignorance that has allowed the robbery of Tibet and other people within China’s borders’ for so long to occur, in broad daylight, of its greatest and most ancient treasures. If people knew more about what they were looking at and buying, allowing to be sold, then it would not continue. Yet ignorance remains and people cannot put religious and political persecution together with the world’s hugest volume of religious items being sold extremely cheaply by the very people who had persecuted others for so long. For years I worked in an antique shop, and it never ceased to amaze me how many people would come in, spend at least 5 minutes looking around, and finally say, “Is this an antique shop?” After all it was their own culture and they were surrounded by pocket watches, carved cameo brooches, and Victorian era rings, but yet, most people were clueless. 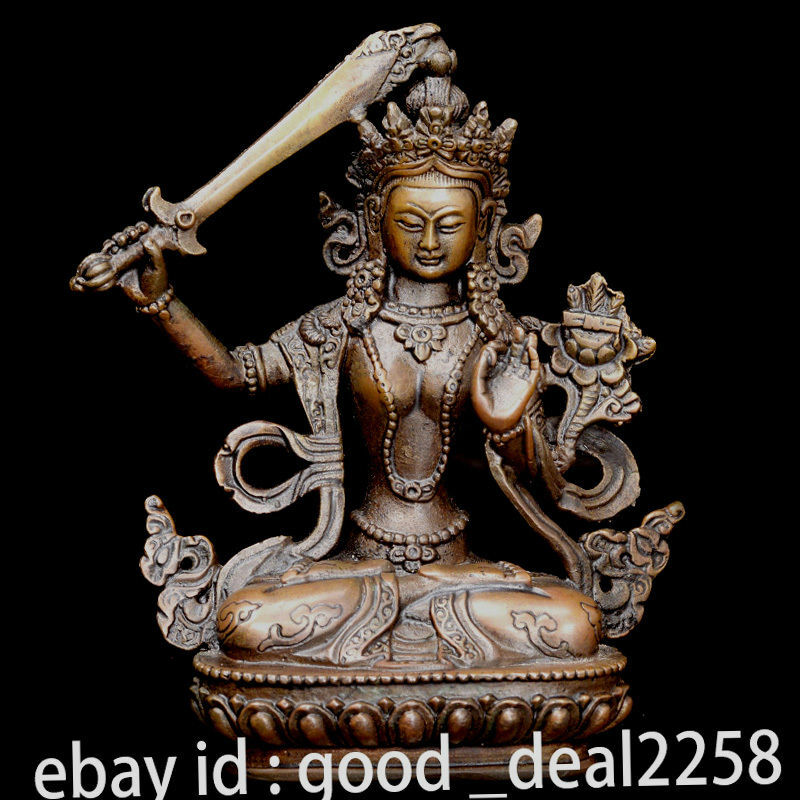 Search for “Manjushri” on Ebay (many times Manjushri isn’t specifically named this in the title though by Chinese sellers, often they are labeled as Buddha or even Guanyin). Made of obsidian, this is one of the hardest and most durable rocks available, and would have been quite expensive brand new since it has to be imported, and takes much more time and effort to carve than a soft stone. At 2 inches tall (4.2cm) and quite possibly straight from the grave from the disheveled looks of her. Because the Chinese keep reusing the same photos for antiques they’ve been selling en masse (see the auctions using the same photo below as well as on other items) and using multiple aliases and shops to sell the same items (1 person/family= 10 shops), it makes it impossible to tell real sellers from fake ones- since a person who doesn’t even own the items can just use their photographs of their items by right clicking and saving the photo onto their harddrive just like I did to get the sellers photographs myself and build this website. Often legitimate Chinese sellers will even have someone else’s watermark on the photos since they reuse photos over and over again, so if a scammer has a totally different name, it might not stop someone from bidding and thinking they were legit still. And the other trick that Chinese sellers do is to open up new shops all the time- perhaps they don’t like the feedback someone gives to them, maybe its to keep total sales down on any one shop so it looks like they are smaller and poorer than what they are, maybe its to flood the market with illicit goods sold by apparent new sellers to make it all look fake so they don’t get trouble for tomb robbing nor bring too much attention to only one seller, but have 1,000- making it impossible to track, let alone fathom, but whatever the reason, this allows outright scammers to come in with very little feedback as well- brand new shops- and look legitimate even while selling very expensive things that a brand new antique shop might not typically have. The other thought I had about the scammers using Chinese photos to steal on Ebay, is that the Chinese government might do this themselves in order to reduce buyer’s confidence in the items and keep their overall prices low. If they valued other people’s possessions and lives, would they be on Ebay for sale? And wasn’t that the point to stealing every rich person’s house and making them do hard labor or worse? To devalue who they are and what they stood for? Anyway, it is a theory, and there sure are a lot of scammers out there either way. All Ebay does in such cases apparently is refunds the bidders- but only if you bring the case up with them. If you aren’t paying attention, then you don’t get your money automatically refunded. Since Ebay doesn’t have any people that work on security there- I believe they just let the people go again and again to do it again and again using a different anonymous email account for Paypal. They accept there will be thieves and they make enough money they can go around refunding people all the time, because there certainly is not any move by them to make sellers take actual pictures of the specific items they are selling- particularly in the quantities the Chinese are selling. Unfortunately it appears that almost every one of these existent in Tibet has fallen into the hands of the “enemy”. It would be interesting to see what the number are of them still existing in Tibet in private ownership, and how they compare with the sales figures. Seems pretty horrible to me if 4 out of 5 Tibetan Buddhist shrines were sold by the very government that persecuted them all these long years, the cash went into the pockets of unbelievers and criminals while the shrines, these shrines torn from people’s hands and homes went where? With such reverence and respect we might try to treat these shrines, now gracing many a museum and living room throughout the world, but to know their story and where they were come from, why there were so many sold so very cheaply, is it very respectful to the deity to be bought and sold by such ignorance? It is the world’s greatest sacrilege of sacred objects ever in history. 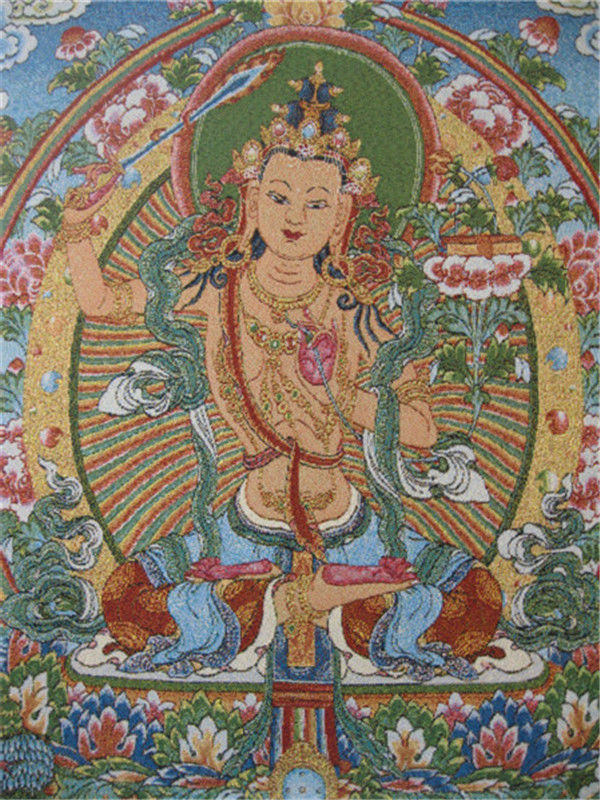 Manjushri is dismayed to become a prostitute for pimps. For yes, she may look all of that, but without truly knowing her and her story, you cannot truly love her. To know her is to know her problems too, not just her great looks, but her past, her story- not only being concerned about yours and your well being and welfare- but to become more aware and conscious of everyone and everything and how we all interrelate. Should we covet our neighbor’s wife? How about his things? His idols, do we take those too, while never being a bit concerned about where the rightful owner is? How utterly horrific that the greatest crime has gone on for so long and so blind are the masses, heartless and cruel in their ignorance, truly proving here time and again. God help us all. 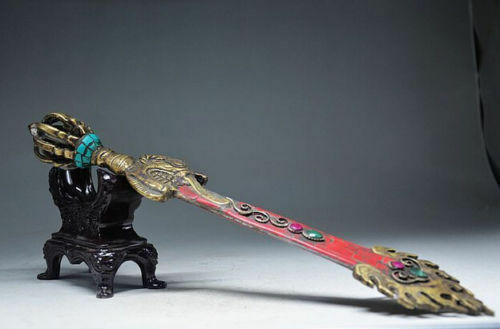 Part of the problem is that it takes so long to ship from China so Chinese antique shops are great shops to fake, often they can rake in quite a bit of money in the 2 months it takes for people to figure out they aren’t shipping it, and bidding is higher than on newer goods. This past year they changed the way packages are shipped in China so it only is supposed to take two weeks, but then some still take quite a long time and I’ve caught some Chinese sellers who sit on the order for a month before shipping as standard practice since it used to take so long to get here anyway. I don’t know why. Buy It Now page, same photo (69.99- 2 available 12/2015) by linlin_125: no longer has anything for sale 04/2017, unclear if sold or? Not sure if all the above sellers are the exact same person (or family) with at least three different shops or if it is a group of people following the same business/shop model, having the same stock, using the exact same set prices, and using the exact same photographs. The photos could come on a disk or drive with the stock directly from a central Communist storehouse, or it could just all be a facility in which many people work at and not owned necessarily by individuals at all. You get fired, too bad, someone just takes your place and name and customers and stock. This is probably the case in any situation and part of the reason sellers are so concerned about their feedback scores. Very, very few things are priced at their true value. 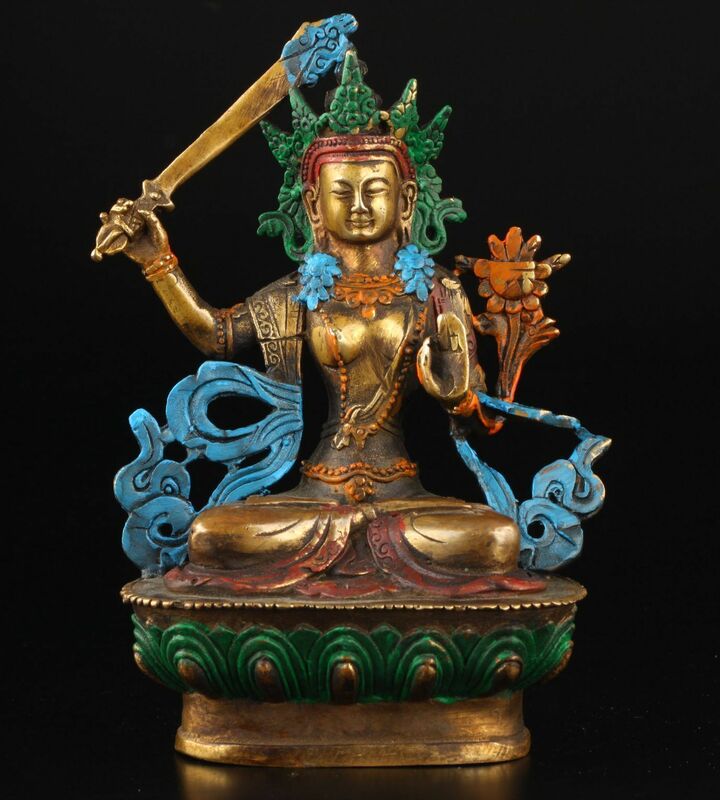 Perhaps this is one of them- a Manjushri statue made from gold and lapis lazuli. But then it could be worth more that that, particularly to whomever this belonged to before it made its way to a Chinese seller in Shanghai. 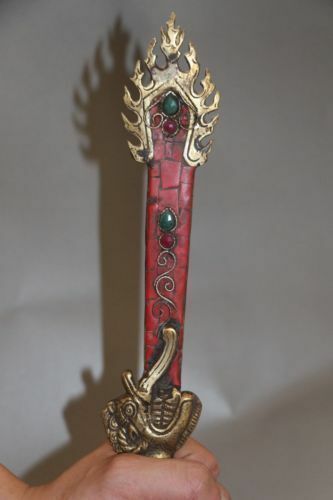 Manjushri swords are also a popular item for the Chinese communists to confiscate and sell. 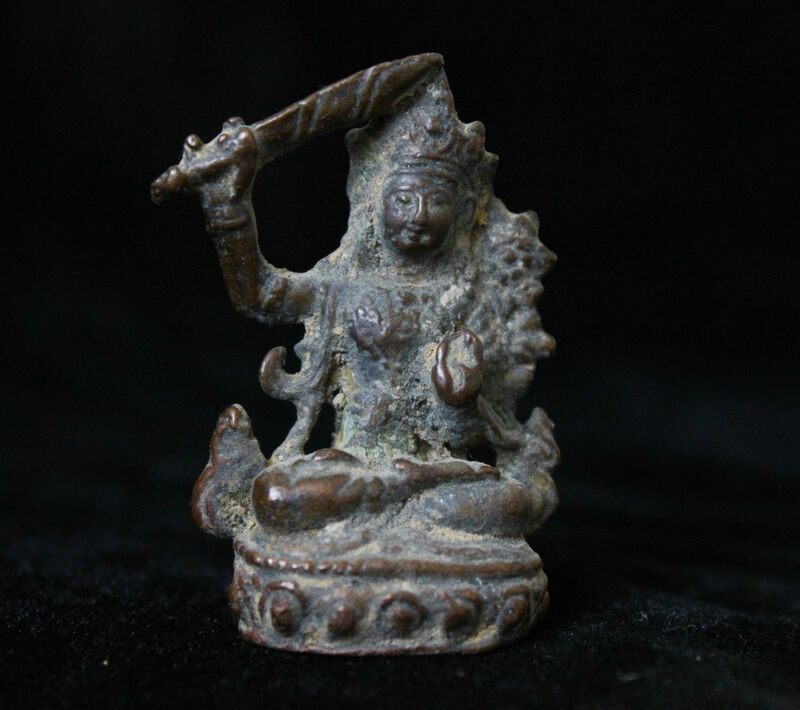 They are yet another small personal metal Buddhist tool/weapon, of which there seem to be quite few different models. Another auction, different photos, different seller by xiaozheng88 – no longer a registered user when I checked back the week auction would have ended on 1/2/2016, only 2 people have left feedback and the last one was “Quick response and fast payment. Perfect! THANKS! !” which is strange since they were the ones who were selling items. 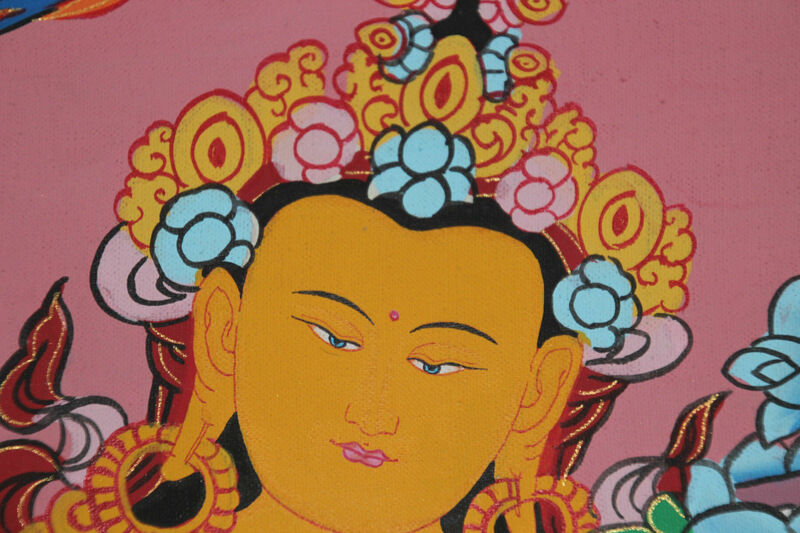 After I inquired where this seller obtained their thangkas (and so many ancient ones painted in gold) from they suddenly lowered their stocks and quit auctioning so many thangkas at such low prices. Typically this seller ktmgallery had around 50-80 items in their shop including “passport bags” before I asked about them being from Tibet, currently (03/26/2016) there are only 29 items listed and none of them being auctioned starting at $0.99 like before. Unfortunately they haven’t actually been caught by the law, so I assume they will just find other venues to sell these illicitly gotten goods from Tibet, and are just keeping a low profile at the moment on Ebay so they can continue to get away with it. 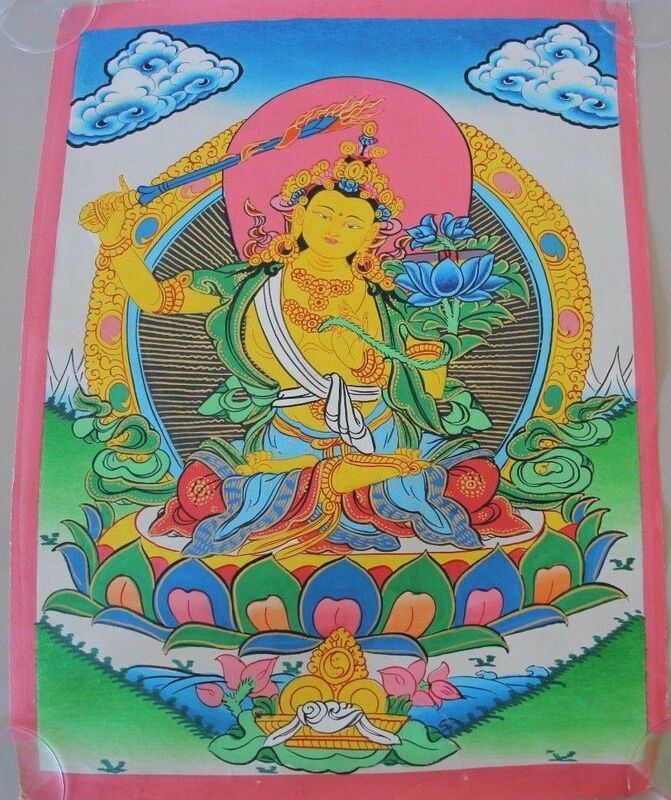 Today (04/16/2016) there are only 20 thangkas listed for sale in the Ebay store ktmgallery but it appears they started another shop which is auctioning the same thangkas they used to at this already established store. The new store they opened is called artoftibet and though it says they are located out of Toorak, Victoria, Australia instead of Melbourne, Australia- Toorak is close enough to be a rural suburb of Melbourne. 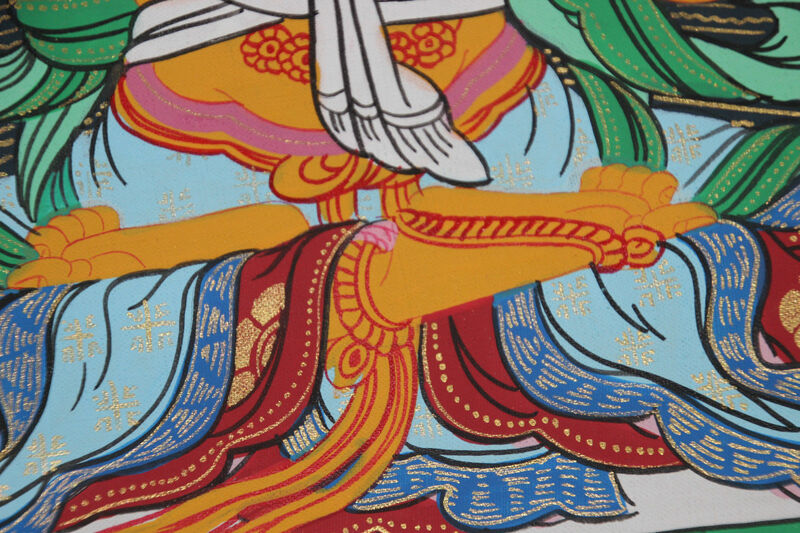 Interestingly the seller- when I asked- stated his thangkas were from a monk in Nepal who was getting 60% of the profits, yet his new store is called artoftibet. 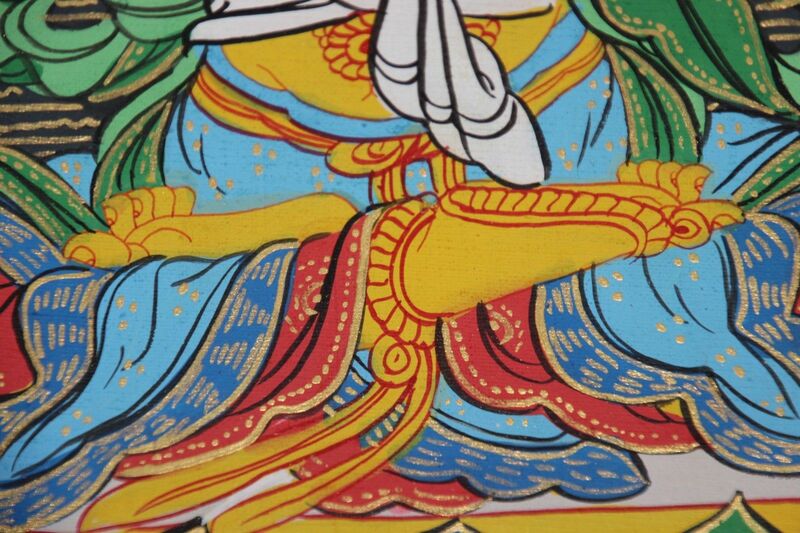 Another update 6/2016- both shops ktmgallery & artoftibet that were selling hand painted Tibetan thangkas for far less than they were worth (many painted in gold) that I believe were owned by the same person selling out of Australia are no longer registered users on Ebay. Update 04/2017- The newer incarnation of this shop called dharmstoreaustralia was short lived and closed apparently in 03/2017 according to feedback left on their profile (“No honest dealer. Didnt send the item, no reaction. (Maybe biding price to low? 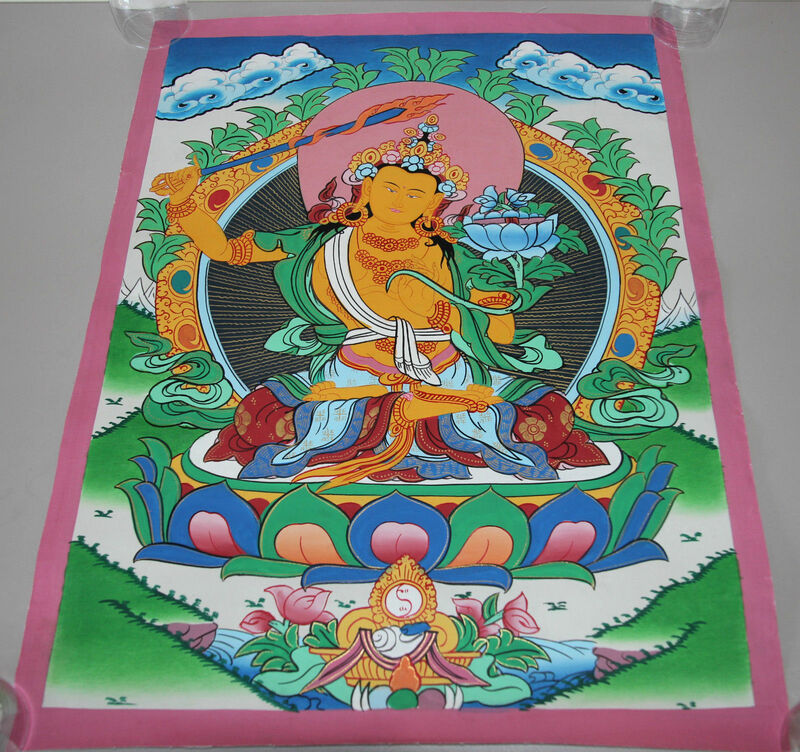 )”, while another shop called finebuddhismarts has recently opened 01/12/2017 and still selling the exact same thangkas using the exact same photographs as the previous sellers. Good thing they have computers otherwise I’d never be able to keep track! 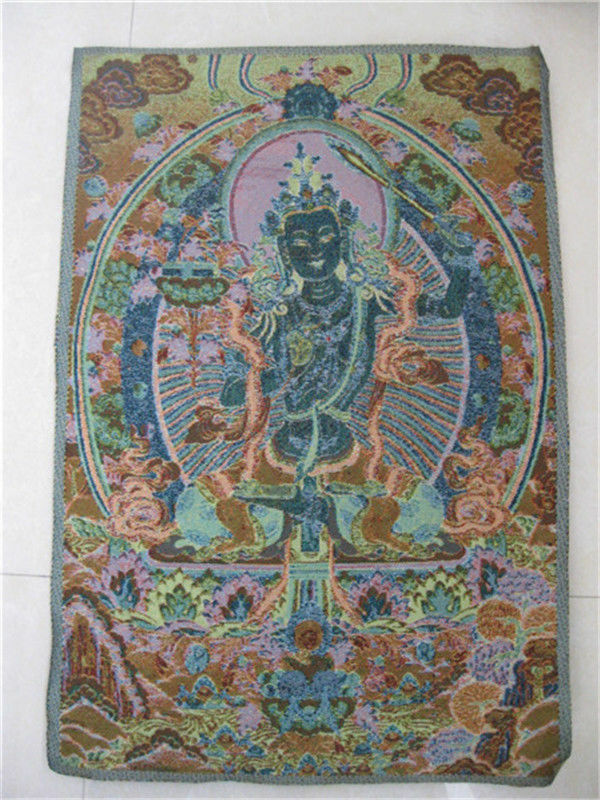 dharmstoreaustralia is the newest Ebay account this particular seller of primarily hand painted Tibetan thangkas in Australia is using. In 2016 I tracked them and found out they had opened and closed 5 different shops on Ebay just that year, the first time right after I started asking questions about where they came from. A legitimate business wouldn’t do that. 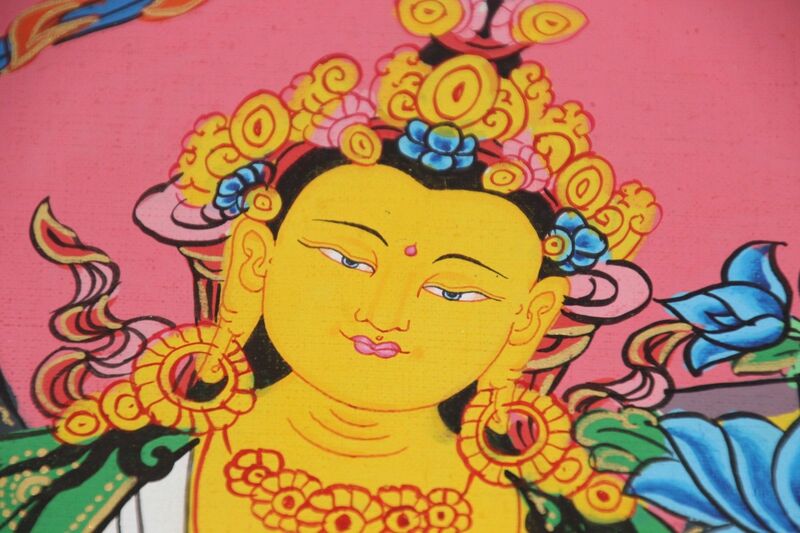 Below is the stock photo of the back of these paintings that has been used again and again by this same Australian seller who keeps changing identities, but not the back photo of the thangkas they sell.